ROOFING — SPRING IS HERE! CLICK ON THE VIDEO TO LEARN MORE ABOUT THE ROOFING PROCESS! Our customers become very knowledgeable and understand the roofing process after we have completed their project. They understand why we utilize GAF as our manufacturer and why we recommend certain materials. We take the time to sit down and go over each and every aspect of the services we offer. We understand that this is not always just an investment, but also a necessary task when owning a home, family safety is number one. WHAT IS GAF? WHY USE THEM EXCLUSIVELY? Once in awhile, customers may have researched preemptively. They may ask about other brands and types of materials. While we we acknowledge our customer's research and knowledge, we explained thoroughly why we use GAF, otherwise known as the America's largest roofing manufacturer. The difference is the confidence we have in their materials. We make it our highest priority to stay concurrent and up to date on the latest products and their changes. We stand behind the warranty they offer for their product and offer them with the upmost confidence. PLEASE REMEMBER THAT ADVANCEMENTS IN THE ROOFING INDUSTRY ALLOW US TO MOVE FORWARD AND INSTALL NOT JUST SHINGLES… BUT A COMPLETE ROOFING SYSTEM! 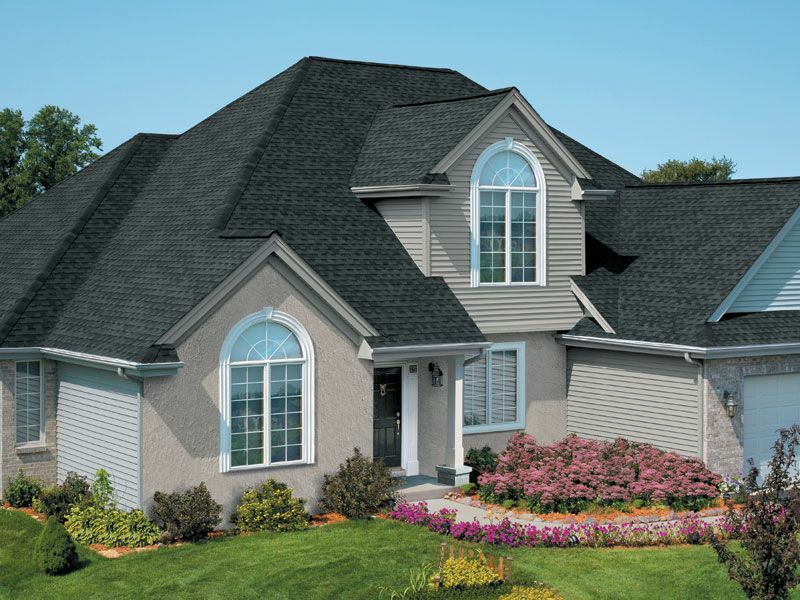 THERE ARE SIX MAJOR COMPONENTS TO THE GAF ROOFING SYSTEM. CHECK OUT THE ABOVE VIDEO TO LEARN MORE! CLICK ON THE BUTTON BELOW TO VIEW GAF COLORS ON A PREMADE HOUSE OR YOUR OWN HOME! 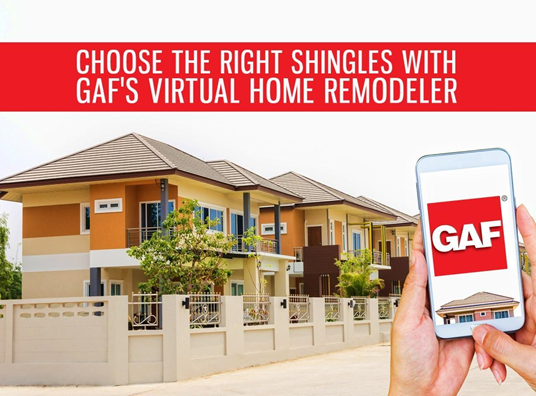 *IF YOU HAVE A TABLET OR MOBILE DEVICE DOWNLOAD THE GAF VIRTUAL HOME REMODELER ON YOUR APP OR PLAY STORE!